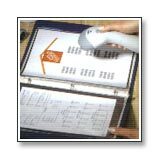 Combination hand-held and fixed projection scanner. Stationary or adjustable stand available. 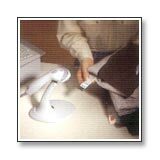 Easy programming using Windows software or barcodes. 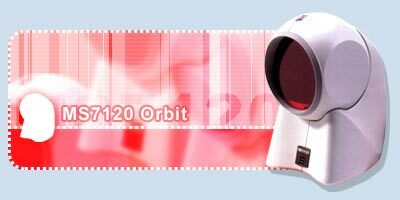 Orbit is an aggressive, omnidirectional presentation / hand-held laser barcode scanner. Orbit is lightweight, rugged, small in size and BIG in performance. 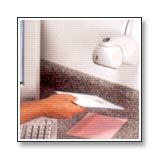 Mountable to a wall or under check-writing stands. Customize the depth-of-field for tight scanning environments. Custom edit the barcode data to meet the requirements of the application. OPOS system compatible using MetrOPOS driver. 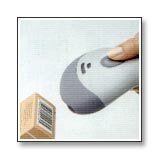 Easy programming using MetroSet Windows-based software or MetroSelect barcodes. Metrologic's MS9500 Series Voyager has been cleared for takeoff! 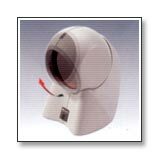 With a futuristic design and advanced scanning system. 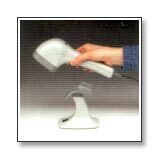 Voyager is the most advanced single-line, hang-held barcode scanner on the market today. The Voyager MS9540 features Metrologic's proprietary CodeGate technology. 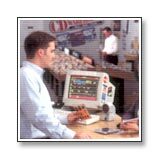 CodeGate is an intuitive scanning system that is ideal for all scanning applications, including menu-scanning, Point-of-Sale, document processing, and inventory, just to name a few. CodeGate works hand-in-hand with Metrologic's patented automatic-triggering scheme. 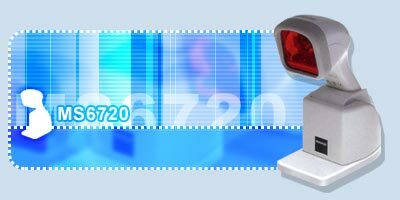 Simply present a barcode to the scanner; the high-visibility 650-nanometer laser is automatically activated allowing the user to easily select the barcode to be scanned. Press the CodeGate button and the data is transmitted to the host system. 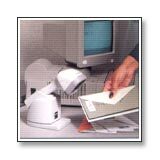 Equipped with both In-Stand and Out-of-Stand operation, Voyager can be used as both a hand-held and fixed projection scanner. 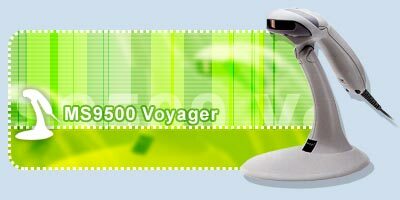 Voyager automatically senses when it is placed in the stand and de-activates the CodeGate button. Bits 'n' Pieces data editing.